Catchy jingles filter through the air, the spirit of giving pervades every radio show, and smiles effortlessly stick to the faces of millennials passing by. No, it isn’t Christmas; it’s ACL. The first weekend of October heralds a new kind of holiday season. The Ghosts of Summers Past stay hidden in the depths of our dreams as we awake to a utopic vision of cool breezes, party anthems, and cold beer. Sure, Austinites love to be swept away by the jolly spirit, but this year’s festivities had a dark cloud lingering above it. As revelers entered the festival gates, tensions rose and hearts sank. The pavement pounded as kick drums thumped at faraway stages, but you couldn’t reach the action until you passed a thorough TSA-style bag check. Even though these security measures were implemented long before the nightmarish shooting in Las Vegas, the air still hung with mourning. For a crowd that just wanted to immerse themselves in the throng of reverberating bass lines, this stood as sobering and melancholy reminder. When faced with tragedies like these, there are a few options. One: you can avoid the festival, stay home, and get your money back (C3 Presents, the production company that puts on the festival, graciously offered to refund tickets to those who no longer wished to attend). Or two: you can attempt to heal through cathartic, sweaty outdoor melodies. There’s no right or wrong way to recover from tragedy, but the majority of ticketholders opted for the latter. While most artists didn’t allude to the heartbreak overtly, each set surged with a fresh bout of passion. As Portland-based belters Joseph wailed on their anthemic hit “White Flag,” the harmonies worked like Neosporin to the crowd’s aching wounds. Austin groove-artists Capyac lit up a portable George Foreman Grill and threw fresh pancakes into the crowd like frisbees. After the first ten minutes of this delicious game, we stopped scratching our heads and went along with it. After all, pancakes still taste delicious even with a little bit of Zilker grass mixed in. Vulfpeck filled the park with supreme silliness and infectious melodies. Their acapella version of “Back Pocket” sounded like the Glee Club you always wished you could join. Several artists honored the late Tom Petty with covers from his catalogue of hits, but no one did him justice quite like Lukas Nelson & Promise of the Real. Leaving the crowd feeling verklempt yet hopeful, Nelson closed out his set with a near-perfect rendition of “American Girl.” Most of the time, famous covers require a little extra spice to make them ring, but this one needed no embellishment. With the exception of Nelson’s signature voice, the tune played out exactly as the heartbreakers would have performed it. The three days, filled with sunburns, dehydration, and over-exertion, also beamed with a glimmer of optimism. 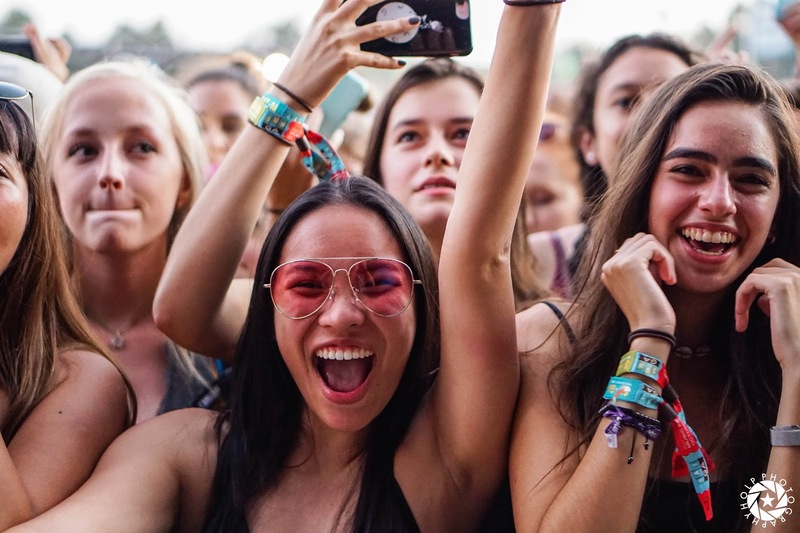 On day one, Festivalgoers trudged through the gates with aching muscles and wounded hearts, but with every synching harmony and swelling riff, they gained a touch of their verve and strength back. The solution to our country’s violent culture won’t come down the chimney over night, but we can hope that each note played contributes to its healing.